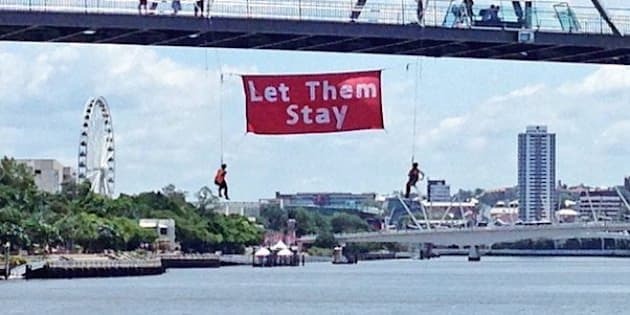 They've scaled bridges in Melbourne and taken to the seas in Sydney, and today refugee advocates dangled from a Brisbane bridge asking the government to "Let Them Stay". Two protesters appeared to be dangling from Brisbane's Goodwill Bridge, in this picture shared by advocacy organisation Get Up on Thursday afternoon. The protesters unfurled a large banner, bearing the slogan popularly-used slogan by refugee supporters who are asking the government not to send to Nauru 267 asylum seekers currently in Australia. Brisbane is the city where baby Asha is in hospital, with medical staff refusing to discharge the Nauru-born child if she is to be sent to Nauru. One of the bridge protesters even snapped a daring selfie. It is the latest in a string of recent high-profile "Let Them Stay" protests across the country. 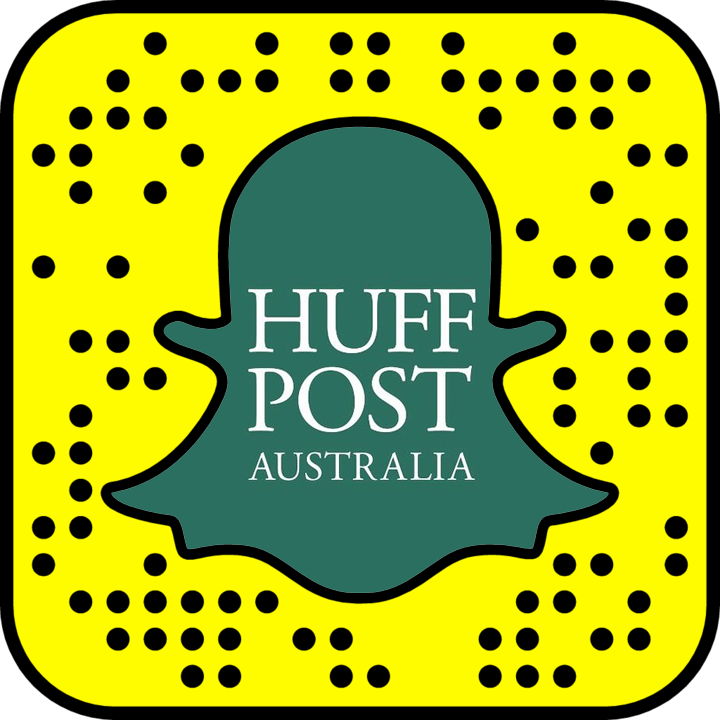 On Sunday, advocates took to Sydney Harbour in rubber dinghys with a banner, while last week a similar protest saw protesters dangle from Melbourne's Yarra Bend Bridge. Greens Senator Sarah Hanson-Young also appeared on the ABC's Q&A program wearing a Let Them Stay shirt on Monday.